LANSING, Mich. — Sen. Dale Zorn on Thursday supported Michigan Senate approval of legislation to officially petition Congress to call a constitutional convention for a federal balanced budget amendment (BBA). The national debt is currently $18.2 trillion. By 2019, the federal debt is estimated to surpass $21 trillion. SB 306 now heads to the Michigan House of Representatives for consideration. 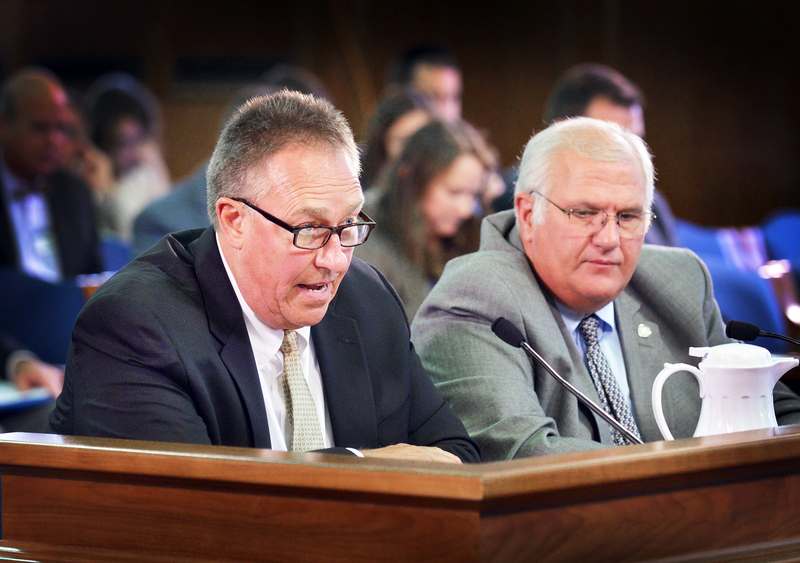 LANSING, Mich. — Sen. Dale Zorn joined local experts in testifying on Thursday before the Senate Energy and Technology Committee on his legislation to stop deep well injection of brine waste products in Monroe County. 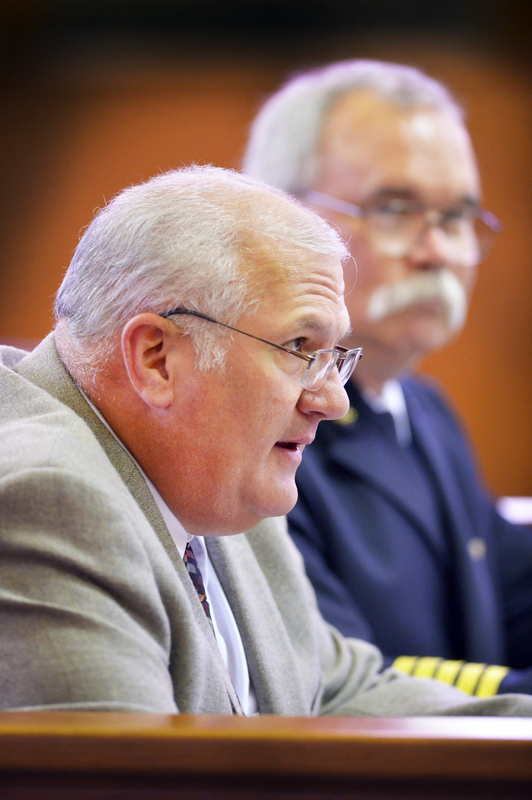 Also joining Zorn in testifying during the committee hearing were Fred Lucas, an attorney representing Summerfield Township; Monroe County Environmental Health Director Chris Westover; and Monroe County Commissioner David Hoffman. Editor’s note: A print-quality version of the above photograph is available by clicking on the image or by visiting www.SenatorDaleZorn.com and clicking on the “Photowire” link under the Media Center tab.